Gods: Lands of Infinity SE Game Review - Download and Play Free Version! End a War Between the Gods Before They Bring on the End of the World! 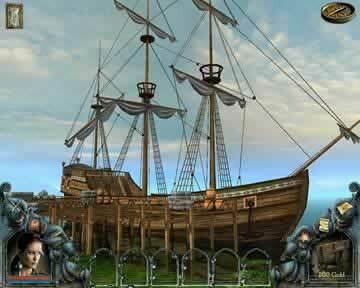 End a War Among Gods and Save Bellarion! An unending war between the gods has brought the world of Bellarion to the edge of doom. As a last hope, the god of fire, Arswaargh, sends his divine servant Vivien on a mission to restore the balance and find the mysterious artifact needed to defeat the god of darkness, Xarax. Explore a new and exciting world of adventures, battles and quests. Visit the different gods of Antasion to regain your powers and spend hours completing the lead quests of each race or kingdom as well as many side quests. Gods: Lands of Infinity Special Edition provides a long list of classic RPG quests as you work to avert an apocalypse. Take on jobs escorting merchants, killing monsters for gold, fetching unique items for unfortunate travelers and more. While exploring the vast reaches of the map, you are bound to run across many enemies. Combat is a turn-based system centered on action points. You pick an attack method or choose between casting a spell and drinking a potion during each turn. The action points are doled out in such a way, though, that you are stuck defending every third turn or so, which means you have to think tactically. It can almost feel like a puzzle during battles as you try to maximize the damage you're dealing out and minimize the damage you take as you carefully manage your action points. An important aspect of the game is the free market system that runs through the different towns. You'll constantly hear hints about merchants who are selling products at a low price and others who are buying high. You can make a fair bit of gold running pottery to beekeepers or purchasing fish from one merchant on the cheap and hiking to another town where you can sell items for big bucks. With enjoyable RPG elements and the unique merchant system, Gods: Lands of Infinity Special Edition provides an entertaining experience that gamers of any level can enjoy. You can also collect a variety of items, weapons, armor and trade goods that can only be found in the Special Edition. If you like epic RPG games, then download Gods: Lands of Infinity Special Edition and begin the adventure today! Gods: Land of Infinity SE is a role-playing game with 3D graphics and a unique first-person view for everything but combat. There are three different difficulty levels in the game to adjust the challenge to your skill level. Formations and action points restrict who you can attack and what attacks you can use, adding a lot of strategy to battles. 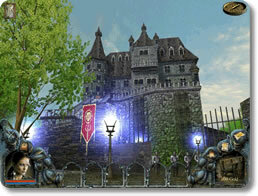 This games includes all the standard RPGs elements, from quests to battles to crafting and trading. This game also has a few issues that keep it from being one of the better RPG choices available. You start the game with a fairly lengthy cut scene that introduces the story and sets the stage for the rest of the game. A war has broken out between the gods, and it's your job to recover the powers granted to you by the gods, find a weapon to end the war, and save your kingdom from destruction. Your exploration and questing will center around these objectives, with your actions all working towards eventually regaining your powers. You can interact with other characters, accept quests they give you that range from collecting items to destroy dangerous monsters. You can buy and sell items, or create your own items with materials you buy and find. You can travel between a variety of locations as you explore the world. Unfortunately, some of these elements at the core of the game can be a bit tedious. Crafting and trading are a bit repetitive, especially when you learn what items are profitable. You'll just be mixing the same items and making a few back and forth trips after a while. It's also very important, since it's the fastest and easiest way to make money. Travel time can also be annoying, because you need to travel to signposts in each area to be able to travel to another area. These signposts are often a good distance away from towns or objectives, meaning you'll be walking around a lot. Battle in the game is turn-based, like many other RPGs. You'll encounter enemies, and then will be given a list of actions once battle begins. You can use attacks, magical spells, items, defend, or run away. All of these actions except for defending and running require action points. Action points are limited in number, and regenerate slowly throughout the battle. This means that you'll need to plan a bit and use some strategy when it comes to your actions. It can also be restrictive, because no matter what actions you take you'll likely run out of action points and be forced to defend every few turns. Another interesting part of combat is formations. There are two rows in which you can arrange members of your party. Characters in the front row can block characters in the rear row from being attacked. It adds an new dynamic where position and layout is important and can affect the outcome of battles. Gods: Land of Infinity SE includes three levels of difficulty ranging from easy to hard that provide a good challenge for experienced and new players alike. However, there is no real tutorial or introduction to the basics of the game, which can leave players unfamiliar or less experienced with RPGs feeling a bit lost. The controls for the game are fairly simple and straightforward. Movement can be done with by clicking the mouse to the spot where you want to move, or using the keyboard and the WASD keys. The Shift key causes your character to run, and various screens and actions can be accessed with keys 1-10 or by clicking buttons with the mouse. They're aren't really explained our laid out anywhere in game, but they aren't difficult to learn or use either. The graphics for the game are 3D and look good, especially compared to some other similar games. They won't match up with the amazing looks of more popular or expensive games, but are still look very good in their own right. The dialogues in the game aren't all that interesting or believable, but are easily ignored if you are bothered by them. The sound effects and music doesn't really stand out one way or the other. Overall, Gods: Land of Infinity SE is a solid RPG suitable for for players of any skill level looking for a good game in the genre. Some of the tedious elements and other issues keep this from being one of the better games available, but there are still plenty of positive aspects that outweigh the negatives. The 3D graphics with an unusual first-person view put you in the shoes of the character you control. Formations and action points bring strategy to battle and require thinking and planning. There are several difficulty levels to choose from. This game has all the core essentials of an RPG, from crafting and trading to combat and quests. Watch this trailer to see what is waiting for you in Gods: Lands of Infinity SE.